Just when you’re thinking it’s feet up for the season they go and pull you back in with three consecutive three nil wins. It’s enough to make you scream “where have you been all season?”. 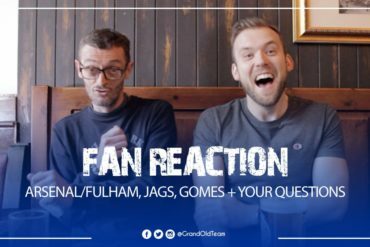 Except obviously we won’t scream that as it would just be a bit weird – like eating custard when cold – and besides maybe a pressure-off-Everton on a game to game basis is the best way to enjoy this particular dish. An inspiring opening paragraph for sure and if you’ve scrolled past the photo to this point then thanks for being in the 2%, I promise this week to make it a quick experience with hopefully not too much regret. In many ways think of yourself as a schoolgirl and I am Sunderland’s star player riding my black Range Rover behind a chip shop, as that’s the way to woo a clearly underage girl in the north east. Allegedly. His last act in professional football will be scoring an undeserved equaliser in front of a Kop currently eating itself with indignation about whether it should be present or not. Moral of the story is never trust anyone who has the complexion and look of someone in Birkenhead giving passers by a sob story of not having enough change for a bus. Hope that adaptability on either wing extends to the nonce wing, you alleged horror. 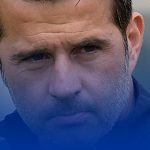 That taking apart of Stoke was Everton at their Martinez best, cunning and devastating on the counter attack, controlled and classy in possession. The problem being is that this particular Everton has been very much a rarity to the point where even being three goals up and in control I was on edge waiting for Stoke to grab at least a draw. That lack of confidence in the fans I would guess makes it’s way into the minds of the players too. 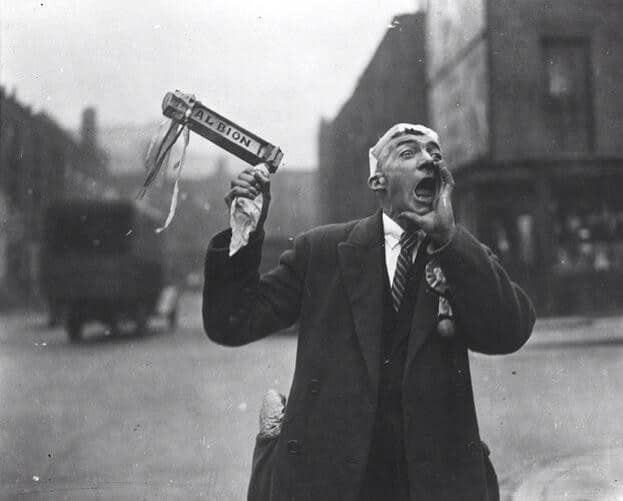 So because of that there will be crowing about Everton being back, that’s right B A C and K, because the next game is far too easy on paper, so much so that it looks a trap. Everton just love traps as you well know. 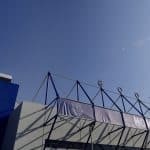 Everton would make a truly awful Indiana Jones as we would be killed by falling spikes or a massive boulder in scene 3. Speaking of wearing ragged shirts, scruffy hats and a hint of leather chaps, we have West Brom and their fans in town this week. The club that you can smell before you see them, like a felled skunk on the road in suburban America or Canada. They reek for blocks. In a recent survey of the greater West Bromwich area it was established that over 90% of houses had an outside toilet and no fitted bath. It’s desperately hard not to like them as they’re very decent creatures like most people from that part of the world so I just don’t have it in me to give them the vitriol that a Newcastle or Man City get, or the ripping I’m snidely going to give West Ham because we exposed their fans as kopite when tackling one of them a little while back. That Boing Boing thing though? Needs to go and quickly. Shut up and just watch the match and maybe sign some autographs for the more drunken of our arl fellas who mistake you as Slade reunited. There’s more natural voice intonation in a Stephen Hawking audiobook than those from West Bromwich and despite them breaking my arl fella’s heart in 1969 they’re welcome around L4, even by the usually stoic police horses who like having them around as they make even them smell good. 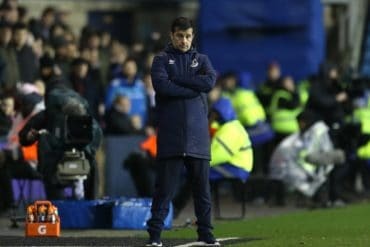 Unfortunate odors apart let’s take a look at the team, starting with their manager Tony Pulis who will genuinely get a pass from Everton fans for life due to the second greatest thing ever to happen in professional football at Selhurst Park in 2014. Can you remember where you were? Can you remember how you celebrated? Me too. You know the greatest thing ever deep down in your soul, if not then google “Michael Thomas 1989”. Being a Pulis team their football is turgid and they will seek to frustrate us and nick a goal from a set piece with bigger and dirtier dogs than you’d find on Formby beach on a Sunday evening. They’re not any sort of run or form at the moment and got taken to penalties midweek by Peterborough in a cup replay. It’s because of all of this that we are going to pain so bad on Saturday evening when they take at least a point. 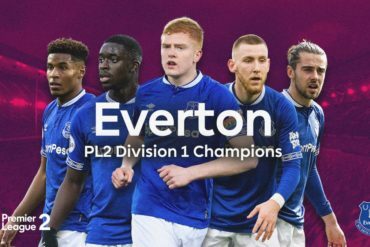 They’re six points behind us in the league and with a 21 lesser goal difference than us which astutely sums up Everton’s season, in a way. Up front they could have Rondon who’s a run of the mill over priced foreign striker with pace and power but never turns out that good. Maybe we signed one of them just now too, who knows? Or they could have Berahino who is gutted that he got married and a big mortgage too early before finding the weights, self confidence and Liverpool One clothing stores and now is stuck in on the weekends with his massive domineering wife getting snapchatted to death by honeys, but there’s nothing he can do about it. I just looked and seen Sandro plays for them, I didn’t even know he’d left Spurs. Fletcher will play next to him in a just not good enough for Man Utd manner as we’ve experienced many ourselves over the past few years. Poppycorner McLean will be on one wing and someone else you’re not too bothered about on the other. There’s a few injuries in defence so it’s going to to be Olsson and Chester and if Lukaku and co don’t abuse them then I for one will be disappointed. Ben Foster looks like those nuggets who can’t wait to untie their dickie bow and leave it hanging loose at a formal party. Can’t wait to talk abar Everton doh. Lukaku has got 20 goals again this season which makes you scratch your head even more at how so many of ours could doubt him. I suppose that’s just how we roll and in many ways it makes me love you weirdos more. He’ll have some competition apparently in this Niasse lid who Lukaku himself described as “raw, really raw, but powerful” this week on playing alongside him in training. I’m already expecting Bakayoko after hearing that so thanks Romelu you bad arl arse. Barkley is ace, no chat back. After the birth of Besic there was also plenty eager to write off McCarthy but the Scotirish midfielder has come back in and reactivated that important shield we have that stops us getting robbed on the counter attack and allows our full backs to push that bit further up the field. We should celebrate having two really effective options in midfield in both McCarthy and Besic, next to the final part of Barry’s career. I’d guess there will be not much change so Cleverley who’s been effective on the left and Lennon who’s been tremendous on the right. And if there was ever a winger who Evertonians would love then it would be Lennon, or Johnny Morrissey as those wiser than me tell me over a pint. We’ll take Lennon for now. Funes Mori and Jagielka are better at the defending thing and we need that right now until Stones is back in form. Oviedo has shown a reminder of just how good he was around December 2013, lest we forget, and Coleman got his first goal of the season in February. Let’s not jinx the goalkeeper situation by naming names. I’ve been excited at how this may turn out as they are ripe for a vicious shoeing. 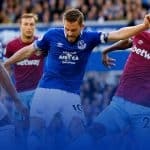 Put your money on another 3-0 by clicking this link here if you like, that’s how Everton roll these days. What do you expect to hold out longer: our good form or the Syrian ceasefire? A fully functioning Everton thrashing scruffier oppositions is a much needed comfort in all of our weekends. Like a quiet pint in town before the pubs get busy. Like an undisturbed snooze on the couch. Like fresh apple pie right out of the oven, with custard. Warm custard of course.